Wow thats major cool dude. Not available in South Africa either. Reason? Hhmmm, the look around button is now missing on my Acer Iconia Tag A500. I can't tilt around anymore after the update. Look around,missing on the Xoom, too. Google Earth has very much liked me. I found it all you want. It really is convergent. Google done! Awesome. Will the CyberCity 3D Gray contributed buildings be included? Can you please have the mobile team fix the yellow tint issue on the latest Nexus S updates. You've ruined your best looking phone. It looks like its been dropped in a toilet. What is the reason it can't be installed in Taiwan? 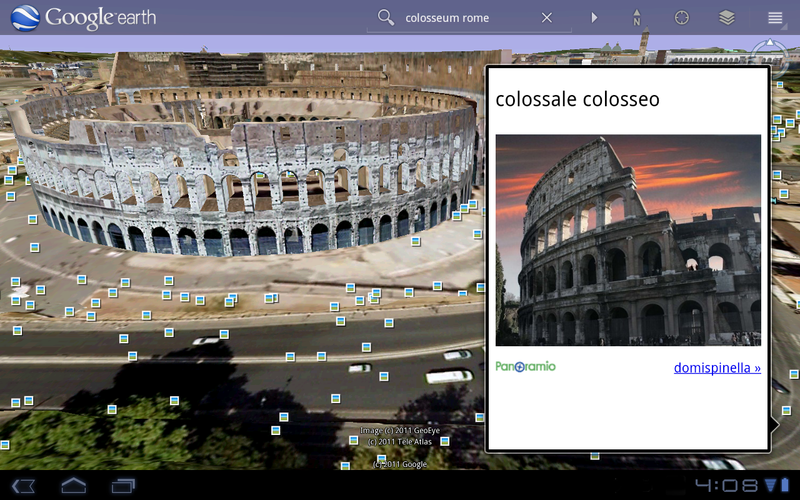 Updated Google Earth on my Xoom last night -awesome! I came up for air 2 hours later. I have really liked the 3D part. 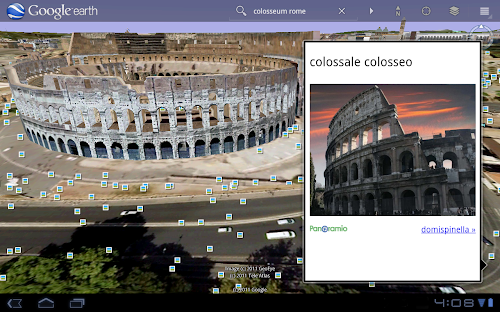 It allows you to have full 3D view of your favourite building or monument. Its such lively experience. yes very nice technology, Android application now booms in technology mobile application plays a key role in it.The Android SDK, J2ME, Eclipse are the technologies used for android app development.